I was down in Olive Branch, Mississippi today trying to decide what to have for lunch. I found a spot called SweetPea's Table on Yelp and got my little sister to tag along with me. Normally, I'd be way more prepared, but I think the Popup is a great way to get people the best info about a place. Basically, I'm doing this review without my notes, camera, or even laptop. Just my iPhone and winging it, so bear with me. I had no clue what to expect when I walked into SweetPeas. I knew it was a meat and two place, which I absolutely love, but that was about it. I don't normally eat when I come to Mississippi, but today I was starving. I'm so glad I stopped. There's nothing overly fancy about the place but it definitely has a traditional southern restaurant vibe. The staff was very welcoming and friendly, there was local artwork on the walls for sale, and even a stage with guitars and drums. I can tell this place is rocking some evenings. Seems like the whole town came out for lunch because it was packed! Fried chicken breast with green beans, mashed potatoes, and corn bread. The fried chicken was amazing! It literally tasted like the chicken my mom fried in a cast iron skillet. the green beans were seasoned very well and the mashed potatoes were also very good. I definitely wanted to take a nap after. Is there some type of award out there for banana pudding? Can I possibly nominate someones? I feel like this banana pudding is from a different dimension or from the future were it was perfected by many otherworldly cooks on the art of banana pudding. I will say this with absolute confidence and without second guessing, this is hands down the best banana pudding I've eaten in my life! No question about it at all! 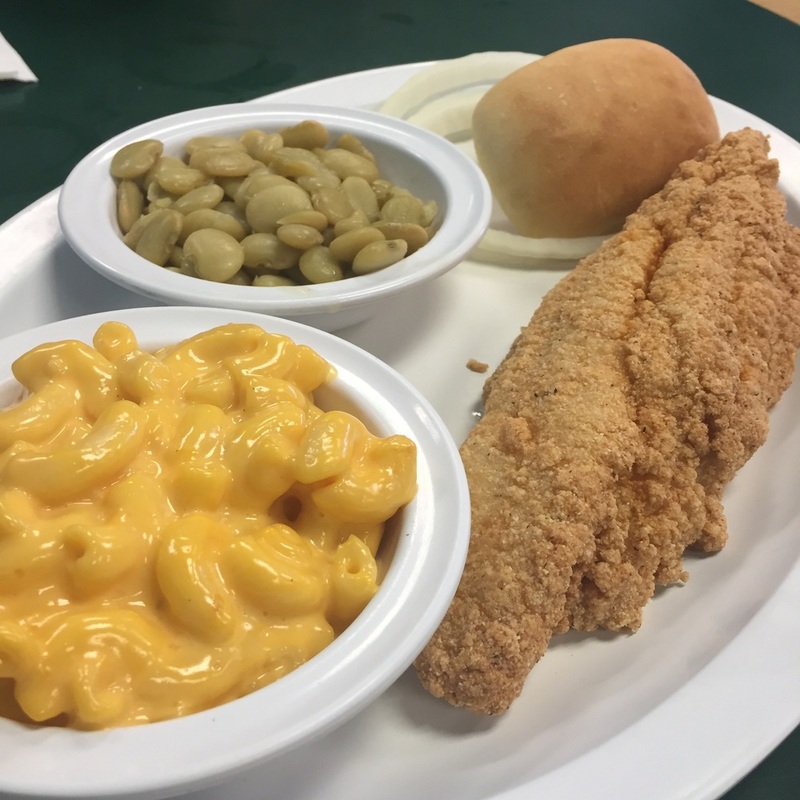 If you're in Olive Branch, Mississippi and you're looking for some good homecooking, do yourself a favor and stop by SweetPea's Table. i give it two things up, but I honestly wish I had more hands so I could give more. SweetPea's Table is located at 8948 Midsouth Dr in Olive Branch, MS.